Classic 300mm diameter flush ceiling light suitable for bathroom zones 1 and 2, with a polished chrome outer bezel and satin opal central glass diffuser. The perfect bathroom ceiling light for a small to medium sized bathroom by Franklite, trusted for quality. 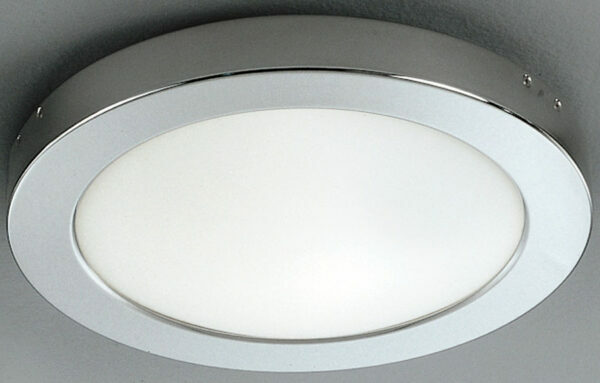 A flush fitting IP54 rated bathroom ceiling light from Franklite. Will accept a bright 13w low energy lamp.